Spring slept in this year, allowing winter to rule the roost for way too long. Mid-April and the unseasonable cold and frost refused to budge. I watched the forecast daily, in the week running up to our visit to Cumbria, willing the sun to shine and the temperature to rise above 3 degrees. As we boarded the boat in Belfast, it was cold, wet and windy and the weather forecast was predicting extremely high winds and temperatures below zero. I wrapped my coat around me as I watched Samson and Goliath fade in the distance, I vowed, no matter what the weather, I would enjoy every moment of the trip. I had my first boat trip in around 10 years last summer and I’ve become a major fan. The boats are decked out like five star hotels, replete with cinemas, restaurants, shops and some even have a spa. 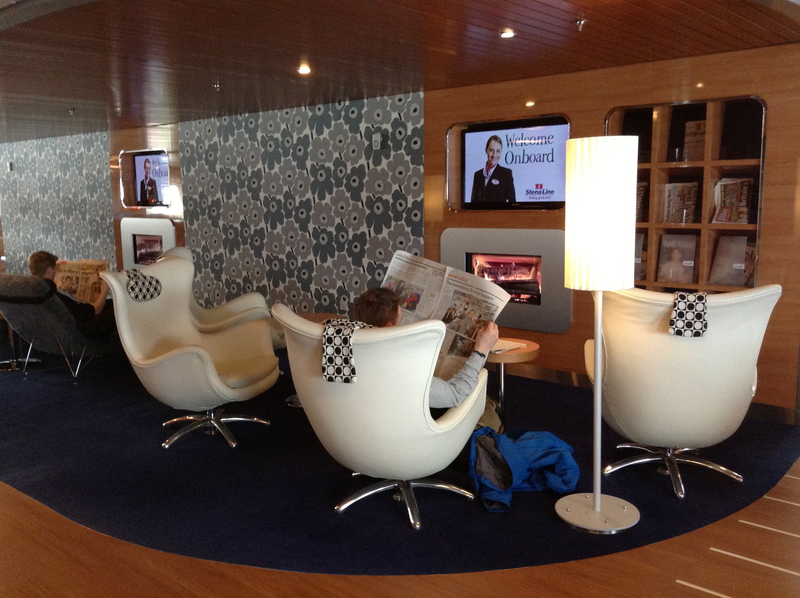 Gone are the uncomfortable seats, blank walls and hospital style food. We travelled StenaPlus for the first time and were like children in a sweet shop. There was a station filled with biscuits and snacks, fridges stocked with cold drinks and wine on ice, chill out chairs, TV’s and magazines. I sat back with a glass of wine, leafed through a magazine and smiled at the thought my holiday had already begun. Disembarking at Cairnryan in Scotland, the air was cold and snow still laced the mountain tops, while clumps clung stubbornly to the edge of the road. Spring had not yet reached this spot either; the trees remained bare and the fields were empty of livestock. We drove through the Scottish countryside, beautiful, despite its slumbering state. I could tell the moment we entered into the Lake District National Park. It was as if someone had drawn a line around the area and frozen time. The road twisted and turned around the base of the snow-capped mountains. Around every corner, there was yet another breathtaking view and the sound of new born lambs calling to their mothers rose into the crisp April air. The clouds that had sat above us our whole journey from Scotland, seemed to clear and the sun appeared. It was as though we had arrived the moment winter had decided to release its grip on the country and spring stepped in, its patience exhausted. 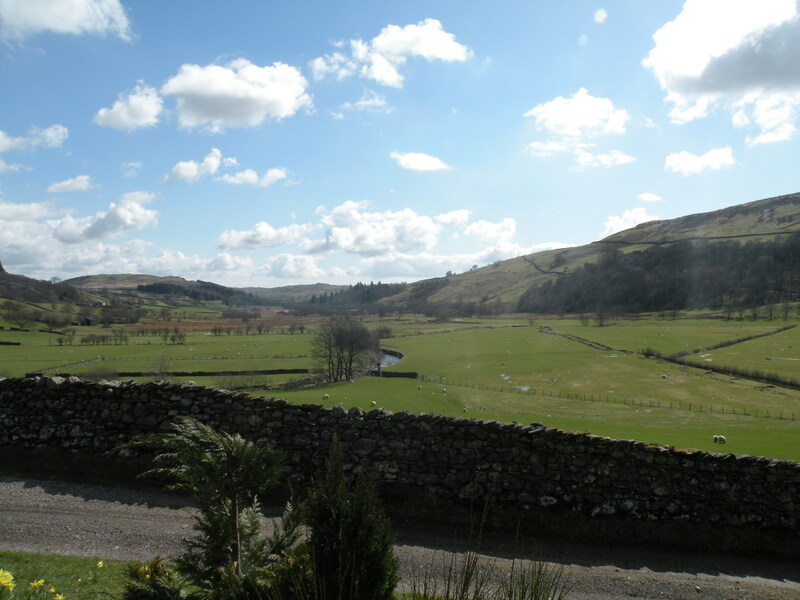 These were my first few moments in the Lake District and from that moment on, I would be wooed by the beautiful landscape, as it had wooed the wonderful Miss Potter and so many before her, way back when. Our home for the week was to be a cottage at the edge of Coniston town, a small village tucked in between the moody Coniston Fells and Coniston Lake. 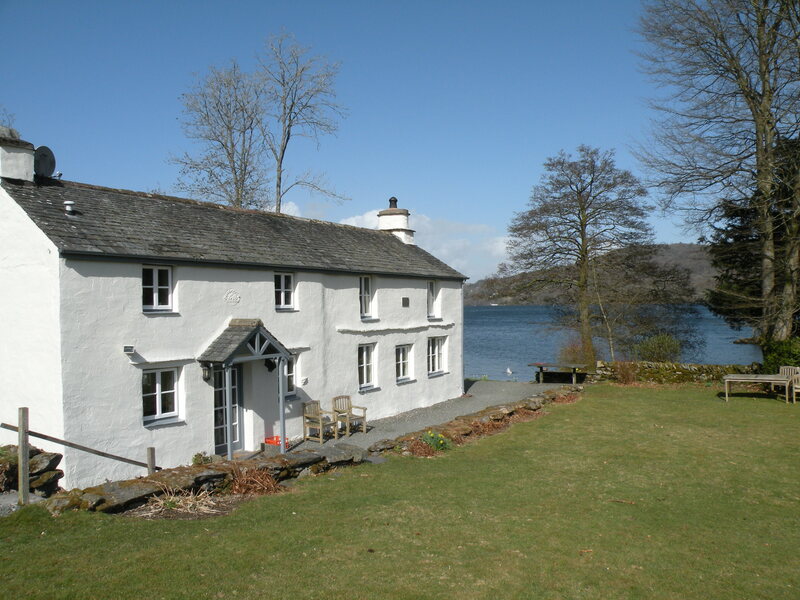 The cottage was one of many, owned by The Coppermines & Lakes Cottages, a company with over 80 properties sprinkled around the Lake District’s most beautiful areas. I’d been overwhelmed by their offerings – converted barns, chapels and traditional cottages. In the end, I opted for a traditional cottage with ivy creeping up the outside, its beams and quirkiness still in place. From the moment we stepped inside, we were at home. The house was warm and welcoming, bread and milk in the fridge and fire logs at the ready. The joy of renting a house is that you can do as you please – eat when you want, laze about if it’s rainy and have a base you can truly call home. For me, it was about feeling part of the area, settling into village life and getting a feel for the district. 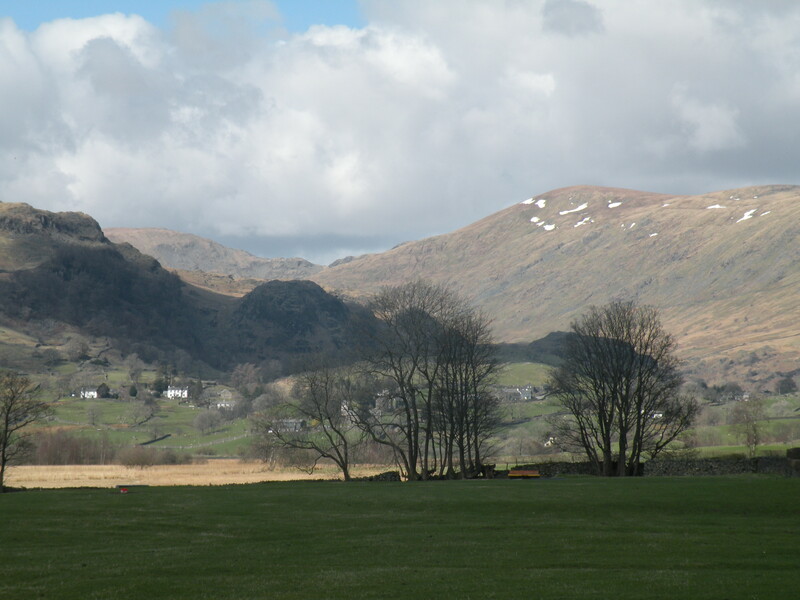 What I loved about Coniston was that it felt like a ‘living and breathing’ village, one where life goes on even when the hikers and tourists return to where they came from. During that chilly week in April, the town was buzzing with locals and a handful of tourists and when the weekend came, the bars came alive with hikers, visitors and locals, having a grand old time. 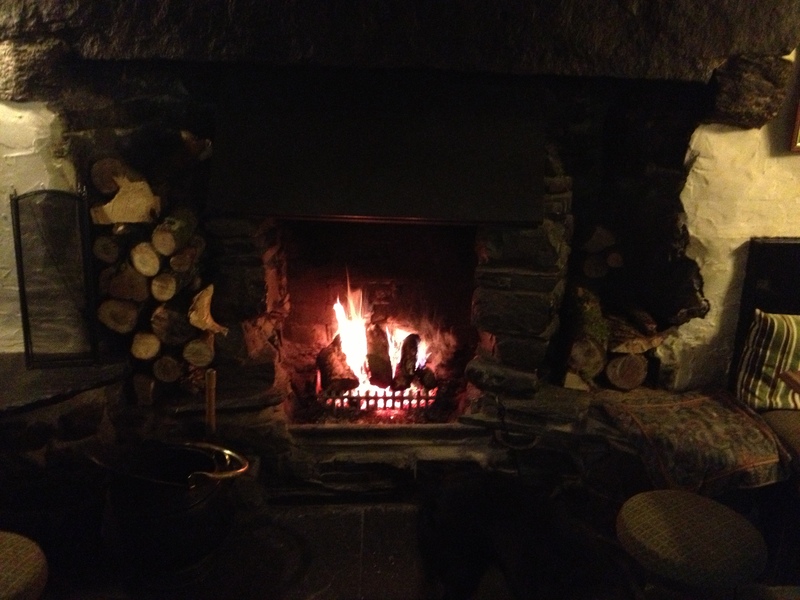 After unpacking, we were taken to a local pub by our host, Philip, owner of the Coppermines & Lakes Cottages. I was tired from the long drive, but when I stepped into the tiny pub with its blazing fire and smell of food I perked right up. 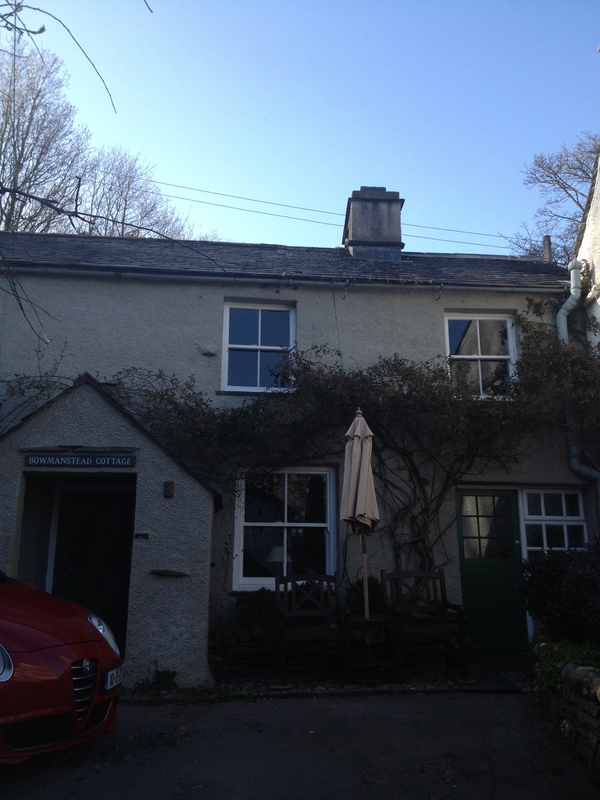 The Church House Inn in Torver, a small hamlet south of Coniston, is owned and run by Mike and Mandy Beaty. They’ve converted the small Inn, which has been running since 1378, into a cosy guesthouse, bar and restaurant, retaining the old character of the place. Mike has worked in Michelin star restaurants around the world and was even the personal chef to David Bowie, thus, it should be no surprise that the menu is creative and combines contemporary and traditional dishes to create a mouth-watering menu. Dishes are healthy portions, produce is sourced locally and everything tasted sublime. 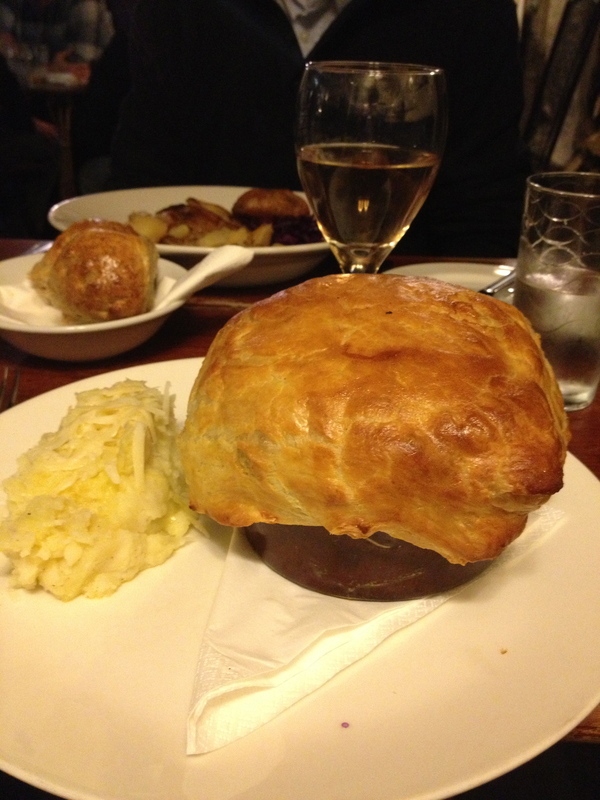 I don’t think I could have felt more smug as I delved into my chicken pie, warm and cosy by the open fire, listening to the jovial chatter of locals. 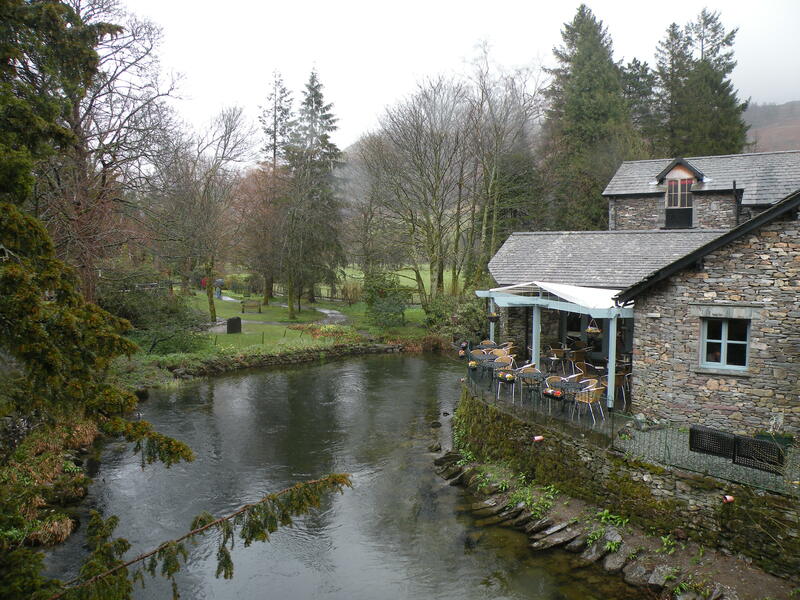 Coniston has walks through woodland, over mountains, around the lake and alongside rivers. You could walk till the end of time and still not have followed every path in the area. Fields are open to the public, signs showing you the way and always, there’s a view that takes your breath away. 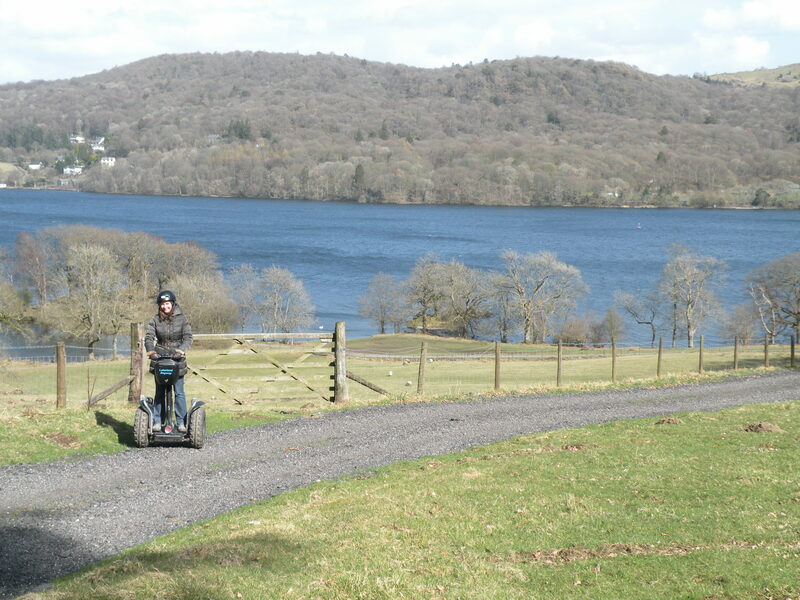 You can take a cruise of Coniston Lake, gliding through the calm waters, enjoying the stunning views, while the more active can jump off at different points and complete the circuit of the lake by foot. The Bluebird Cafe boasts one of the best locations in town, sitting on the shores of the lake, the ducks resting in the sun just beyond the open terrace. They serve good coffee and home-made dishes, ideal for lunch before hitting the water. The town itself has a handful of cafes and shops, four pubs and a helpful tourist office who can supply you with maps of walks in the area and things to do. Traditionally, people who came to the district, did so to hike up the mountains and soak up the tranquility and beauty of the lakes. The reality today is that there are activities for every taste. My job was to suss out some of the best. We met in a car park in the middle of a 5,000 acre estate, Graythwaite Estate, overlooking the picturesque Windermere Lake. I’ve seen people whizz around cities on Segways, but I’d never done it myself, so the idea of going cross-country on a Segway was quite appealing. I’d not thought that it would be difficult and it was only when our guide explained the mechanics of it all and images of the bumpy gravel road I’d just driven up came into my mind, that I realised it could be a little challenging. For me, if I’m doing something new, if I have someone instructing me with great care and reassurance I’ll relax and give things a go. I think my hesitance to mount the Segway and then my snail-like speed when finally on it, alerted the guides to my cautiousness. It was the calmness, reassurance and also fun approach that our guides Rob and Phil had that encouraged me to follow our little group through the forest, along bumpy roads and then into the expansive Graythwaite Estate. One of the guides lingered by my side, probably thinking I was a liability, but laughed and joked, reassured me I was doing well and put me at my ease. Lakeland Segway don’t pack in the numbers, they keep groups small meaning safety comes first. There were three guides to our group of 9 and we moved at a comfortable pace. It took me about ten minutes before I agreed to relax my shoulders, lift my head and take in the scenery. We whizzed along pathways through fields with grazing sheep, admiring the estates houses and woodland, all the while, perfecting our Segway technique. For those who do this ‘entry level’ tour, you can then proceed onto more challenging terrain. I approached the steep hills cautiously, but you can’t help but be distracted by the incredible views across Lake Windermere. Once we reached a large open field we were told to do zip about, I’d pretty much gotten used to the funny contraption. Our time was up and perhaps it was the unexpected sunshine, the lush green surrounds or the adrenalin from mastering the Segway, but I didn’t want it to end. However, all good things come to an end. 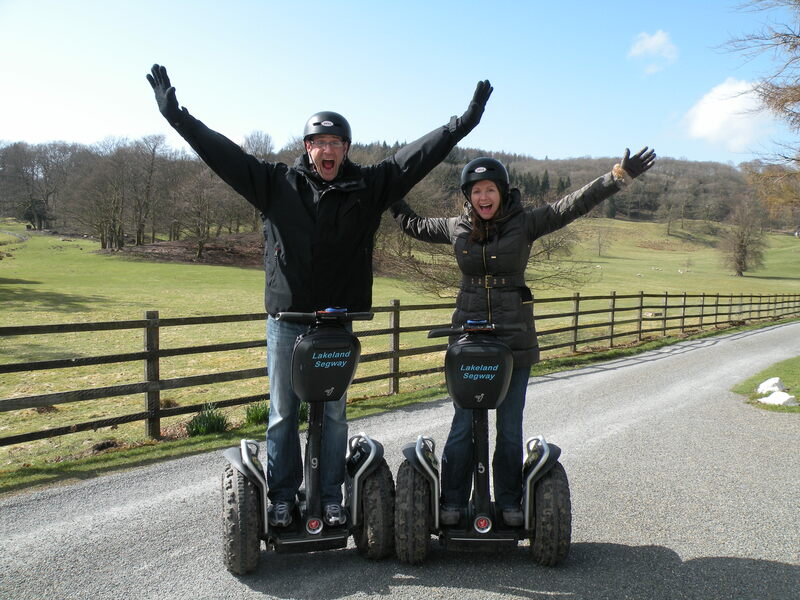 If you find yourself in the Lake District, do yourself a favour and book in with Lakeland Segway and say ‘Hi’ to Rob and Phil for me! 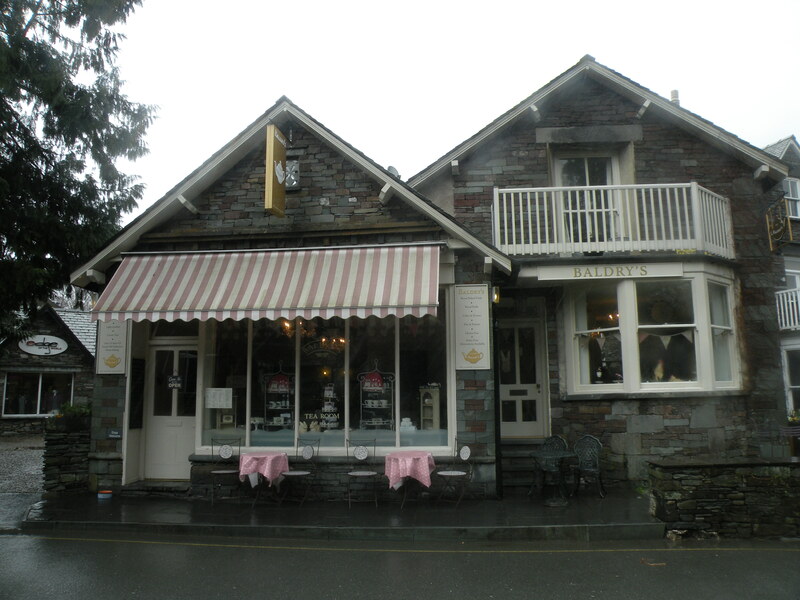 The drive back from the estate brought us through the pretty town of Hawkshead, with a plethora of shops, cafes, traditional pubs and cottages to rent. 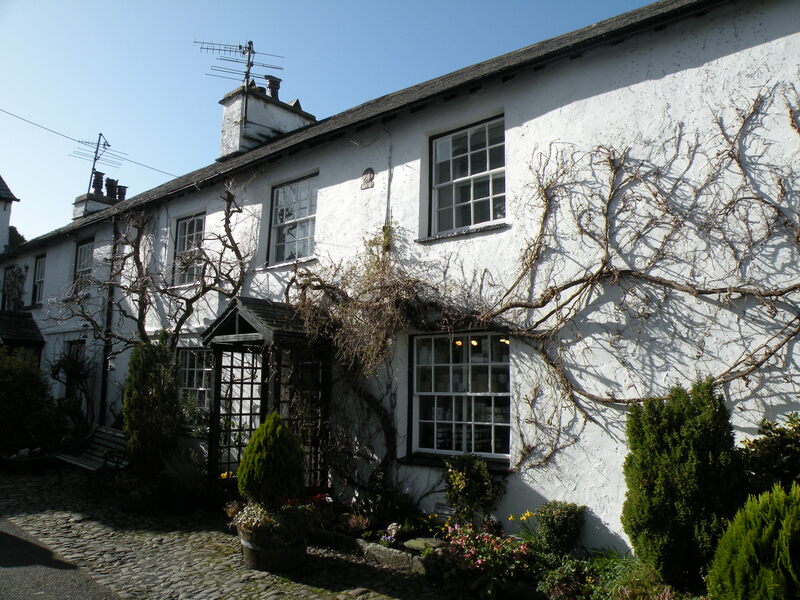 A five-minute drive from here is Beatrix Potter’s house, Hill Top Farm, a 17th-century farmhouse, bought by the author when she first moved to the area. The house, owned by the National Trust, is as though Beatrix has just stepped out of the house, her belongings, including notebooks, hats, furniture and photos, remain untouched. Sitting above Hawkshead is Grizedale Forest Park, ideal for forest walks, mountain biking and the brave (or stupid) can swing from the tree-tops at GoApe. Those with a fear of heights, be warned, this is not for you. Although, if you fancy combatting your fear, what better way to do it than in a controlled environment where you climb rope ladders, some 18 metres up a Fir tree, zip-line across a 200 metre valley, throw yourself off a platform into a hanging net on the Tarzan rope and negotiate your way across suspended bridges and tunnels. No, it’s not for the faint-hearted, but then again, I’m a big scaredy cat and I did it. After a safety demonstration and brief training course, I tied myself to zip-wires, threw myself off a platform 18 metres high, screamed as though I was being tortured and vowed never to do it again, if only I could survive the course. Did I feel elated at the end? Hell, yeah! I was proud as punch at what I’d managed to do, my adrenalin was pumping and while my legs shook for several hours afterwards, I’d had the most fantastic experience! There is so much to see and do in the national park, with a rake of quaint villages and towns to visit, it’s hard to see everything. We spent a morning in Windermere and Bowness-on-Windermere, probably the two most famous destinations in the district. The towns run into each other, down onto Lake Windermere, where, during the summer months, ferries offer cruises and small hire boats bob around with tourists clicking away capturing the beautiful views on their cameras. The west of the lake is most popular for walking, but those in search of luxurious accommodation and fine dining, won’t be disappointed here. I browsed the shops, eyed up the lovely eateries, but I must admit, I was happy to return to the peace and quiet of the Coniston, void of massive tour buses and gaggles of tourists. 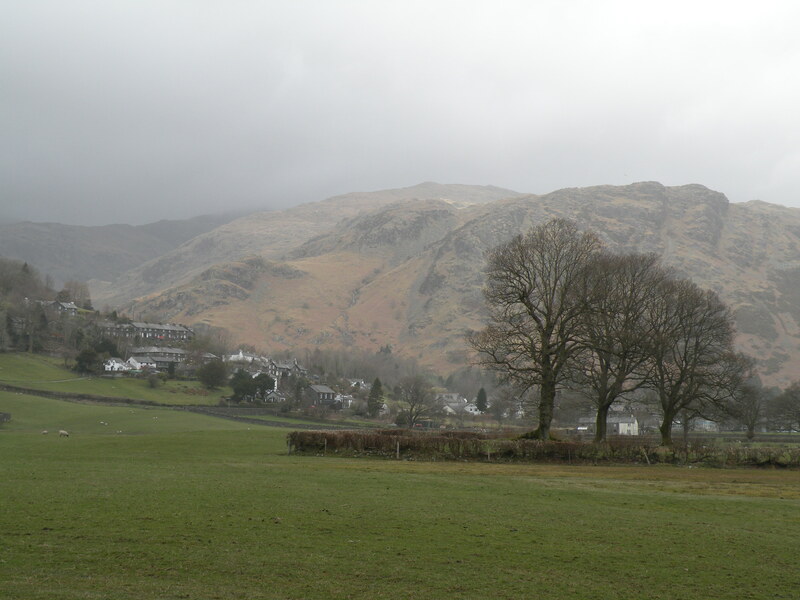 Lovers of the poet, William Wordsworth, will know of his love for the Lake District. He lived in the beautiful town of Grasmere for fourteen years and described it as being “the loveliest spot man hath ever found” and I have to agree with him. The town sits on Grasmere Lake and has a river running through it making it one of the most idyllic villages in the national park. The buildings are small, most made of stone, the facades decorated with colourful hanging baskets. After a walk around the lake, our little group was soaked to the skin as the rain had settled in for the day. We were accompanied by two very wet dogs and were sure we wouldn’t be welcomed anywhere. However, that’s the thing about the town, and district in general, even the loveliest of spots seem to welcome dogs. There’s a whole host of cafes offering home-made cakes and other goodies. I liked the look of Baldry’s, with its candy stripe canope and display of cakes in the window. We were served up a feast of cakes, scones and steaming mugs of hot chocolate, topped with melting marshmallows and cream. I thought I’d died and gone to heaven. An afternoon was not long enough in Grasmere, we missed a tour of Wordsworth’s former houses, Dove Cottage, and the more grand Rydal Mount. There were more cakes to be tested and dinners to be had. Alas, you can’t get to see it all and so it’s something to look forward to when I return. If you get bored of being in the car, a great way to explore the area is by bicycle. We opted for an electric bicycle, which we picked up in the lovely town of Staveley, simply because it meant we could cover more ground in the afternoon. As it’s a mountainous area, hills can be a bother, however, not so when you’re on the electric bike! You can pick up the bikes at a number of points and expect to pay a very reasonable £10 for a half-day, a cheap and cheerful option! I suspect I’m going on too long, however, it’s difficult to condense a week of so much activity into a few hundred words. I’ll finish up with an unusual activity I took part in. We visited Dee and Daniel Ashman in Ayside where they run a company called – Predator Experience. 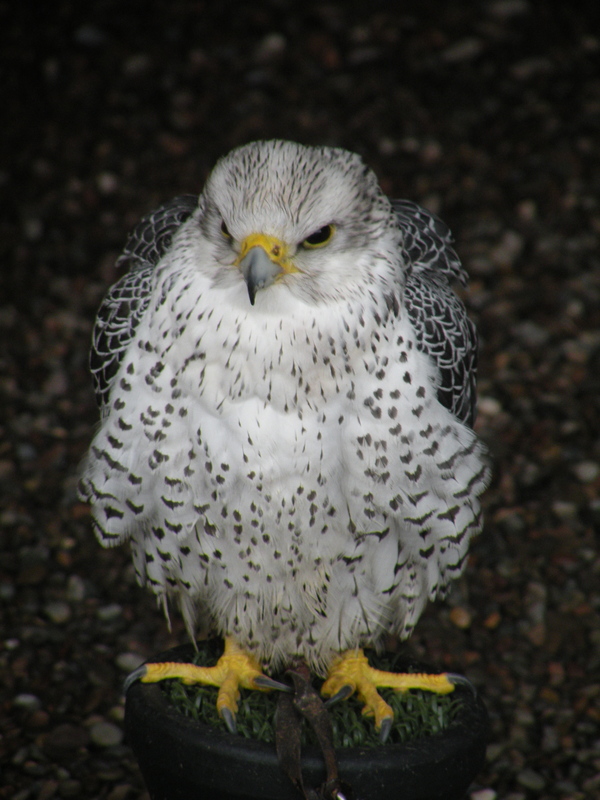 They have a large number of Bird of Prey and offer people a falconry experience where you can go into the mountains with a Golden Eagle, watch it soar through the sky and then come and land on your arm. We met with their birds, each lovingly named and with a history very much entwined with the couple. There was a love for all the birds and a very special connection between the owners and some of the birds. However, we were not there to do a Hawk walk, but rather the Walking with Wolves experience. We were brought to a pine forest a couple of miles away, where we became part of a ‘pack’ for an hour. 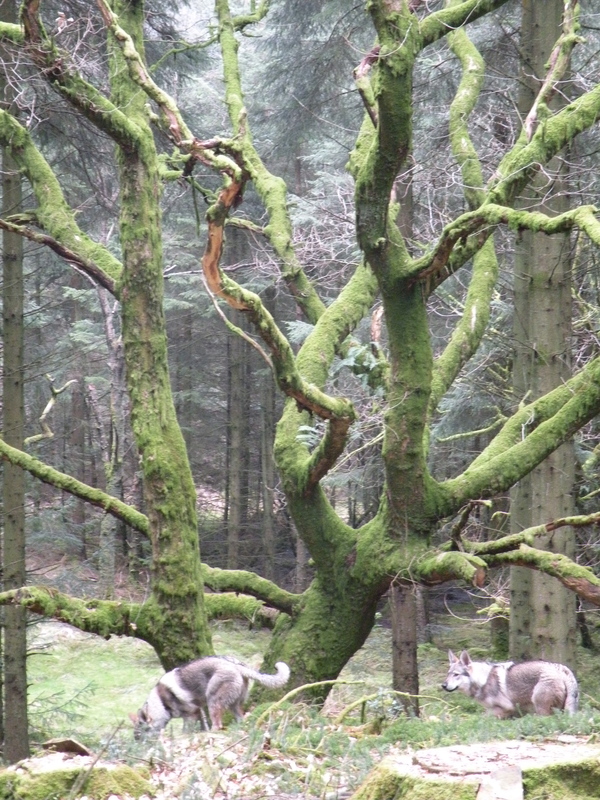 The two timber wolves were bought by Dee and Daniel from a Scottish pack, and while not 100% wolf, they are as close to a wolf as I’d want to get. The idea is to see the animals run free in the forest, as they would have done for hundreds of years, before they driven out by man. When the wolves ran off, Dee and Daniel would howl, bringing them back into the pack and as we walked they chatted amiably about the history and habits of wolves. It was intriguing to see the wild creatures race through the undergrowth, if not a little disconcerting when they sped towards us, and at the same time, a little sad when you think the species can no longer live in the wild there anymore. Daniel and Dee are so well informed on the wolves and their passion to keep the experience as natural as possible is admirable. However, this is not something to take little kids on, nor for those scared of animals. 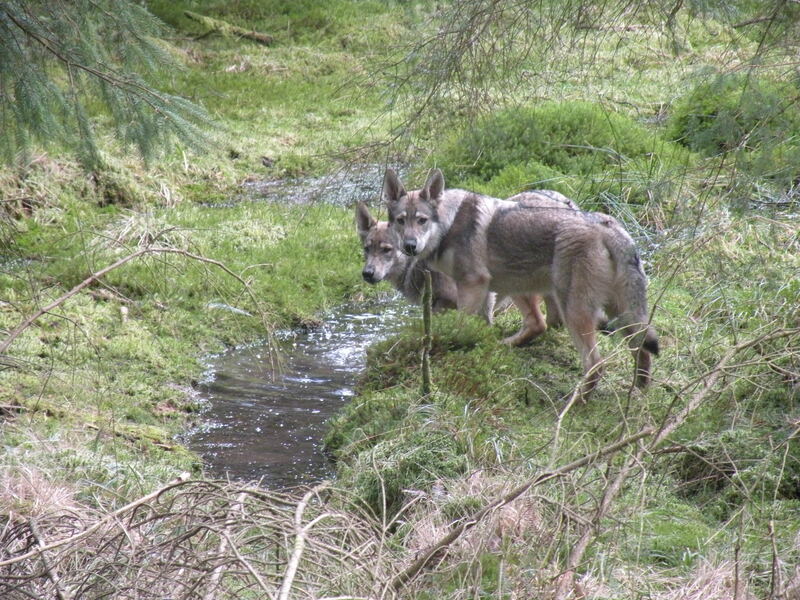 This is an experience for those who love nature and wish to see wolves back in the wild again. A week was not enough for me in the Lake District. Our days were busy with activities and sightseeing, but next time I could do with two weeks so that I could incorporate more walks in the mountains, cruises on the lakes, exploration of villages and reading in my cottage. I will return when the leaves are on the trees and the sun is a little warmer, as I imagine it would look like another world. That’s the joy of the Lake District, you can visit so many times and it will always be different. It wears many masks, changing with the seasons and I think, no matter the season, it will never disappoint. NOTE: I travelled with Stena Line to Holyhead and was hosted by Coppermines and Lakes Cottages and the Cumbrian Tourist Board. Thanks to everyone for making it a wonderful trip! Great to meet you people, I am somewhat of a home decorator addict. I’d like to say hello here I personally ended up discovering this site and truthfully enjoyed reading it. It’s got a few truly superb insights that I can process. I have got to mention, I’ve become depressed fairly recently simply because my brother is not here with me. Web browsing the internet provides me with a little bit of piece of mind . I would like to give thanks to you just for this stellar net posting which inturn helps circulate the message concerning home decorators even more! I was curious about if you have got an email opt-in list in order to routinely keep up-dated here.